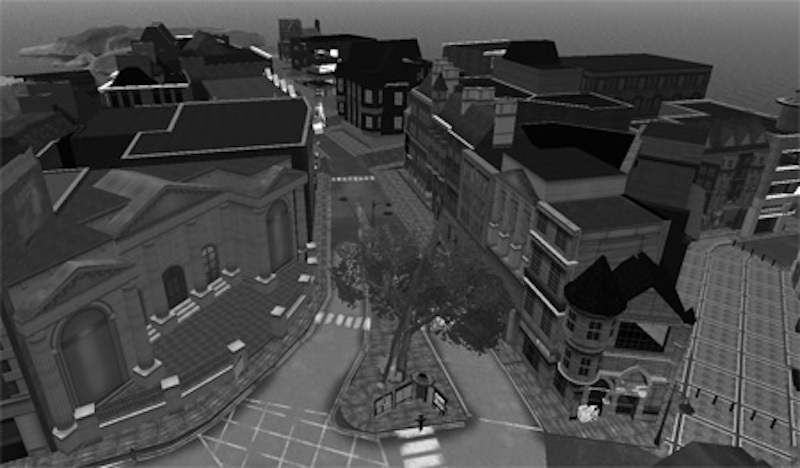 About ten years ago, I was actively blogging about virtual worlds, focusing on developments in this technology, what people were creating in online worlds, and how this interacted with the real world. I was fairly well known, particularly in the Second Life subcommunities. I was also active in the Quaker faith, blogging frequently about my spiritual journey and what the Religious Society of Friends was up to. So in October 2008, I got the brilliant idea for a fake news story. What if the Quakers decided to create their own massively multi-player online world? Out of that came the idea for World of Peacecraft. I wrote this post late at night on October 23, 2008, laughed about it, and then went to bed. Well… apparently I had struck a nerve. My story got picked up on various game, tech and virtual world sites around the country (G4TV , The Escapist, ArsTechnica, among others). Journalists and bloggers were reporting as fact that the Religious Society of Friends was going to release an MMORPG. Apparently they had not bothered to check any of my sources which were all completely fabricated, or question what I thought was a ludicrous idea for an online game world. I have to admit this amused me greatly. So I wrote two more blog posts about “World of Peacecraft,” the first detailing the game play and the second with some “in-game footage” featuring a scene from the movie “Witness” starring Harrison Ford. Eventually people caught on to the joke. But lots more were initially fooled, despite me using completely made up sources, organizations, and people. Several people were disappointed that the game was actually never going to be released. And a few were downright rude to me. Sounds interesting for those who want to follow the path of a less violent oriented (maybe) MMO. For those who won’t play the WoW or other MMOs because of the violent content, can’t hurt. As long as they keep in mind that a large majority of MMO players are more interested in the traditional MMOs, they should be ok. Normally I raise an eyebrow and get worried when I hear about Christian “values” games,.. but in this case, while I agree it is doubtful the game will go anywhere or get much of a playerbase, the Quakers have to be the least worrying group trying to create such an alternative I have seen to date. They have a nice long history of trying to do positive things. At least THIS game will have something well meaning behind it rather then these bigoted hate-filled-pretending-to-be-holy games we usually see coming out of ‘moral’ game development. As a quaker, I hope this game is well constructed and accurately portrays one of the most positive and peaceful sects of Christianity. As a gamer, I have no idea how this will be possible. Of the various early-american-history-founded religons, the Quakers pretty much come out on top as far as being rather sensible. Not to suggest that others are nonsense religions, but my limited exposure to the friends has jived well with my largely non-theist leanings. As far as an MMO, it could be interesting if not action packed. The lesson I learned was how easy it was to perpetrate a hoax online. It was literally a few minutes of effort on my part to create this. And how quickly it can evolve out of your control.